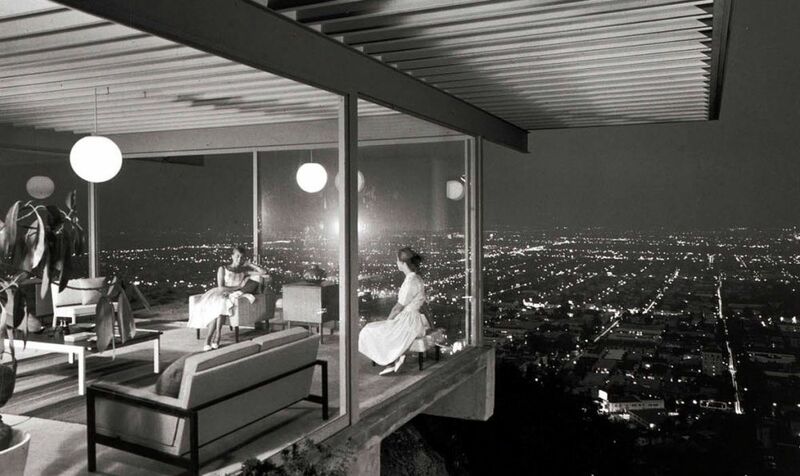 Mid-century modern, or MCM as devotees call it in shorthand, was spawned from the Modernist movement. Modernism defined a cultural movement that spanned the realms of architecture, literature, philosophy, and music in the late 19th century in Europe. The guiding principle of the movement was function over fussiness, and making conceptual artistry attainable through everyday objects. The Bauhaus School in Germany, which operated from until 1933, served as an early creative venue for these ideas to be explored with Ludwig Mies van de Rohe serving as a director. America would soon follow suit with World War II coming to an end and people feeling a shift towards experimentation with new technology and materials. The period between 1933-1965 would come to define a style that would become popularized and accessible to the masses, mid-century modern. So what are some defining characteristics of MCM architecture and furniture? There are far too many to name, but some of the most recognizable and distinguishing are the use of steel, large flat panes of glass, clerestory windows, decorative screens, cantilevered roofs, flat roofs, split-level rooms, Japanese influence, partial walls, stacked brick, and integration with nature. The use of these characteristics varies depending on the style of home, whether it’s a sprawling ranch or case study type dwelling. In furniture, some characteristics would be the use of woods like teak, walnut, burl and rosewood, organic kidney bean shapes, fiberglass, resin, brass, steel, and textiles that were often wool and nubby in texture. Mid-century modern design is alive and booming with a resurgence of interest in the design world. For some, it has always been a mainstay that they grew up with. Others have ventured out only to be beckoned back, and then there is the younger generation embracing past relics and the nostalgia of it all. Because of this, companies like Thayer Coggin have re-released pieces from their archives featuring original designs of the time, and the authentic vs. knock-off question is one we explain regularly in regards to Barcelona chairs, Saarinen tables, and Eames chairs. At the end of the day, it’s hard to argue with the timelessness and beauty of well designed furniture from or inspired by this era. Good post. it includes most of the modern designs and had tracked all evolution in these designs.